Thanks Cinder for all the pretty puppies! 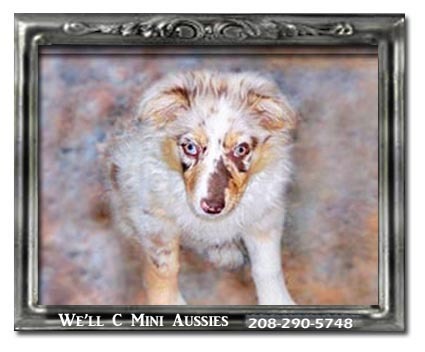 Cinder comes to us from Timberline Kennel in Missouri. She is sired by Timberline Rebel of Shurdan Creek out of Timberline's Red Fusion. 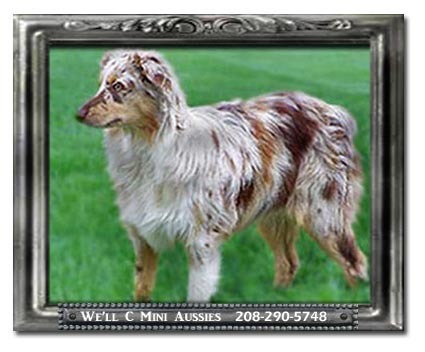 Cinder is a really beautiful red Merle Mini Aussie. She is long and sleek. She was born in January 2009. 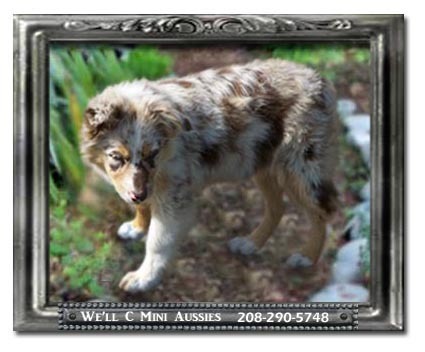 Cinder stands 16 inches tall at the shoulder and weighs 31 pounds. Her life goal is to shrink herself and become a "pocket puppy". 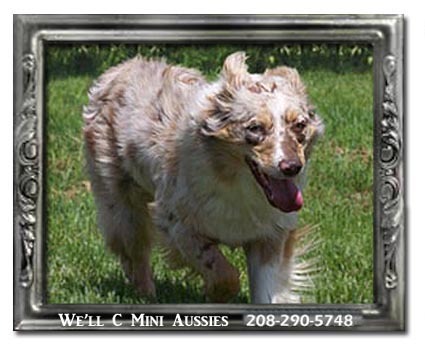 She is registered with AKC, MASCA (Miniature Australian Shepherd Club of America), and NSDR (National Stock Dog Registry). 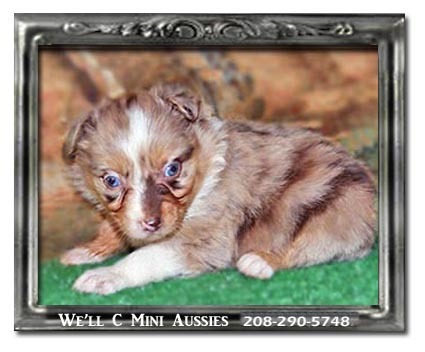 Cinder is mom to Pia and to our upcoming Mini Aussie breeders, Georgia and Jane. 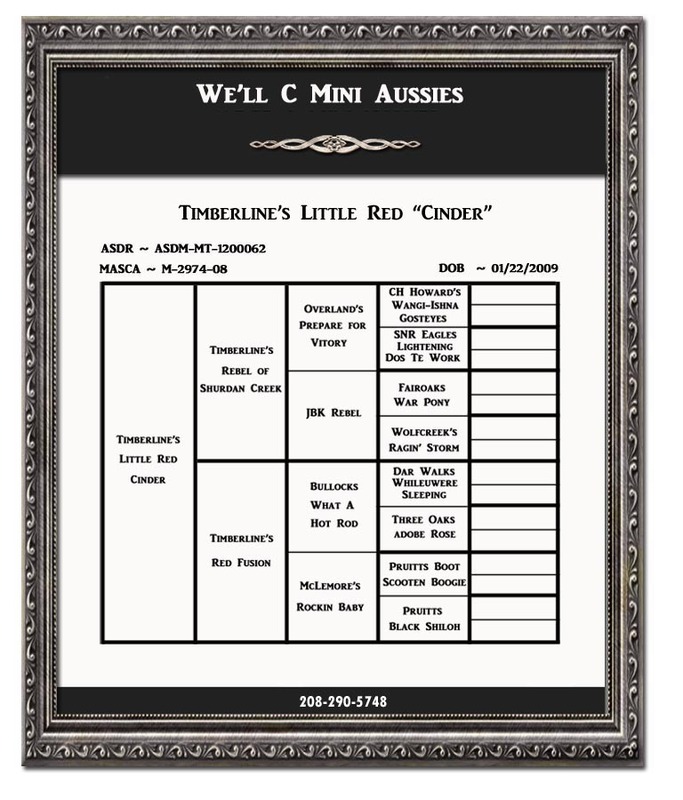 Below is Cinder's slideshow, genetic test results, and her pedigree.